I am a professional guitarist and instructor with over 17 years of experience teaching music in Russia,Israel and USA. I offer private in-home and in-studio guitar lessons in Orange County and beyond. I specialize in teaching classical (Spanish) or nylon string guitar aka “finger picking”, “finger style” , however I also teach acoustic (steel-string) guitar those who are more interested in contemporary songs or playing chords while sing along. My teaching styles combines rich tradition of the famous Russian music school with experience and knowledge that I obtained studying and playing Spanish guitar all these years. Please take a moment and watch a few videos of my former and current students performing various music pieces. Thibault Madelon performs famous “Anonymous Spanish Romance” at the local talent show. Thibault is from France, his family spent a few years in Irvine and then moved back. Nikita Krasnov performed during the end of school year recital at Russian School “Karandash” in Irvine, CA on June 7th 2014.Keep it up Nikita! Brian Vu performed during Vietnamese New Year Festival 2013 in Westminster, CA. He is a very dedicated boy! Glieb Vasenko recorded all songs that we learned during his first year.Good job! My lessons are designed to meet specific needs of each guitar student. This includes a balance of music theory, sight reading, ear training and repertoire appropriate to the student’s level of proficiency. Learning musical instrument is not limited to playing notes.We’ll try to reveal what’s hid behind those black symbols, talk about the history of music and the arts when necessary. Music that you can play on classical guitar has no limits: it could be an arrangement of “Fur Elise” or fiery Spanish Malagueña, soothing Brazilian Bossa Nova or classic Rock’s “Stairway to Heaven”, not too mention a mountain of romantic love songs and such favorites as Anonymous Spanish romance or Asturias by I. Albeniz. I prepare my school age students for RCM music examinations held annually.They have an opportunity to perform in recitals 1-2 times a year. Classical or nylon-string guitar– Your first guitar is a very important factor in your future success.Decent (or better) guitars could be found in stores, online or used. I can help to find good instrument or provide my expertise. Acoustic (steel-string guitar) or electric guitarfor those who are into pop and rock music.It might be a good idea to start with nylon-string guitar as it will hurt your fingers less. Music stand is where you keep music books while playing. Helps to keep your posture straight and prevents eyesight problems. 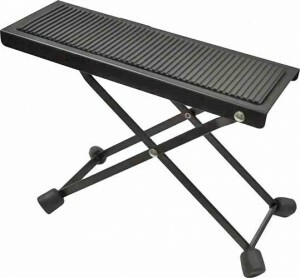 Footstool is recommended only for classical guitar students. 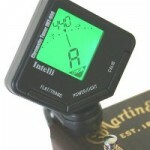 Tuner– You need to tune your guitar periodically (sort of daily routine). 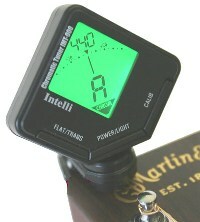 Electronic clip-on tuners are widely common, they do not require any music skills or knowledge to operate. In the beginning you can survive without it though. Strings–It never hurts to have a spare set, strings do wear and break. I recommend to change them once a year. Learning music is highly beneficial for everyone, in early stages of life it helps to develop brain areas involved in language and spatial intelligence (among other benefits). In more advanced age studying music helps to simply keep your brain running, notably in preventing Alzheimer’s decease. Please contact me from the contact page or call (949) 939 9060 for more information,rates and availability. I offer private in-home guitar lessons in Orange County,Irvine,Laguna Beach, Newport Beach, Newport Coast,Corona Del Mar, Huntington Beach, Fountain Valley, Laguna Niguel, Mission Viejo, Aliso Viejo, San Clemente, San Juan Capistrano, Dana Point, Lake Forest, Laguna Hills, Rancho Santa Margarita, Coto de Caza, Ladera Ranch,Tustin, Costa Mesa, Santa Ana, Garden Grove, Orange, Anaheim Hills, Fullerton, Yorba Linda and Los Angeles county. Leo Brower "Un Dia De Noviembre"
Harold Arlen "Over the Rainbow"
João Pernambuco "Sons de Carrilhoes"
Abel Fleury "Milonga del Ayer"
Luiz Bonfa "Ilha De Coral"